the google repository. this is a working copy of the lab. it is ready to be compiled again too. hopcode: do you have some code / design done yet? /EDIT/ Perhaps in February ? hopcode!!!) to the mega 2009 fasm-cosmo-cocoon. Here screens from the actually working Beta version of Biberkopf. Erm, what do you require help with? I looked at the previous posts but can't find where you mention it? 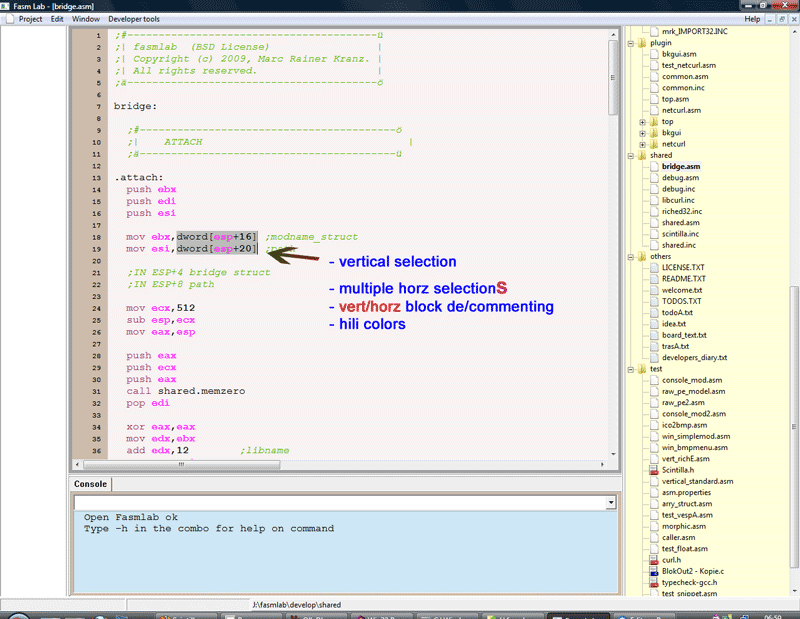 It looks very interesting & promising IDE hopcode. I hope you are planning to add richedit syntax highlight colors. Yes,hili and completion code are now in the ToDo's list, even if not as "top priority". 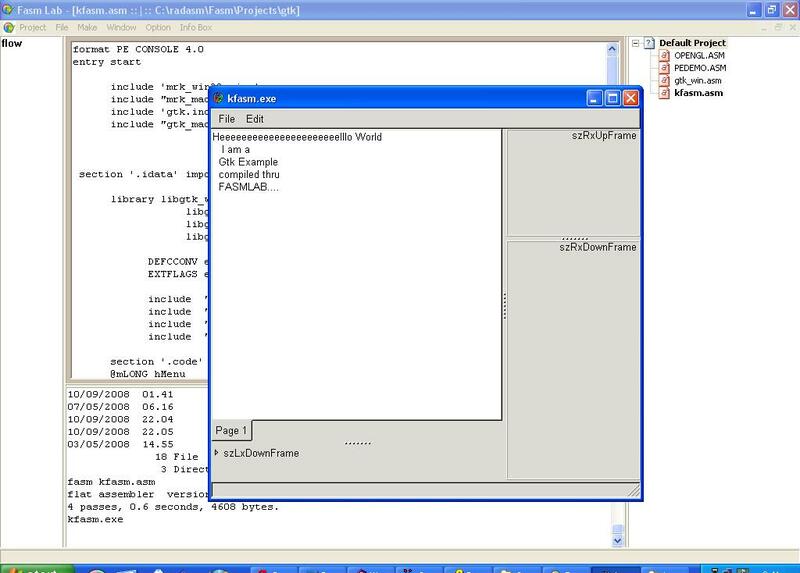 /docks etc could be easily implemented by other programmers to be encapsulated as objects (perhaps COM). Personally, i dont like so a complex visuality of icons&colours&buttons, they distract sometimes from programming! But Hilight & completion Code are very useful. just an idea, but the fasm logo over a PCB. ...just an idea, but the fasm logo over a PCB. I like the "integrality" concept, but the main icon is already used by fasm. and i have always difficoulty to find them only by name. Spice Live Update built in fasmlab.